Ahh, the old comparison trap. Anyone who says that they haven't fallen into it is lying. We're constantly comparing ourselves to the people around us trying to figure out if we're deemed "good enough". However, the thing that we sometimes forget is that everyone around us is in a different place in their journeys, making comparison not the most accurate way to gauge your skills. 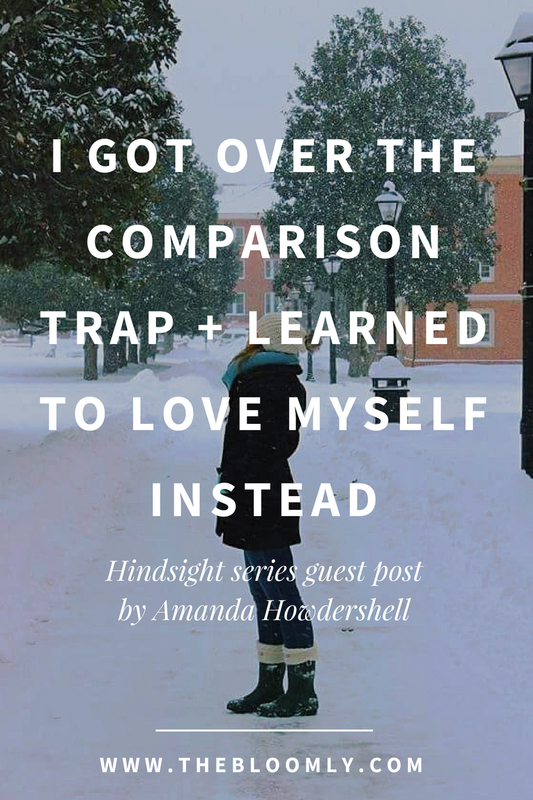 Here's Amanda's story of how she was constantly comparing herself to people that were in different places in their journeys, how it affected her, and how she learned to stop doing it. If you are similar to me, you may find loving yourself difficult. As I’ve grown older I have realized that comparison is the ugly little devil hiding behind the majority of my insecurity issues, namely never feeling good enough. The majority of my life has been endless patterns of being blind to my self-worth and my abilities. Today I wanted to talk a little bit about the comparison game and why you should stop comparing yourself and learn how to love yourself. Comparison is the driving factor behind the majority of my insecurity issues. I grew up in a very affluent area in schools full of overachievers. From a young age, I was never the most dedicated student. While I do genuinely enjoy learning and value getting an education, I am more of a creative person over a math and science person. I’ve also have always had a bit of a stubborn streak in me. If I had to read a book for school, I merely didn’t want to read just because someone was telling me I had to read it. Even things I enjoy now, like writing, I didn’t enjoy in school because I was always being assigned these things that I didn’t want to do. Despite all of this, I still desired to do well in school, but I was constantly comparing myself to these over-achievers, thinking I was never and would never be good enough. Which my stubbornness didn’t do me any favors here either, as it just reaffirmed the things that I believed that I was never good enough. The combination of low self-esteem, comparison, and my rigorous course load in subjects I didn’t care about left me in what felt like a black pit. In high school I never even gave myself the chance to try to succeed. The combination of low self-esteem, comparison, and my rigorous course load in subjects I didn’t care about left me in what felt like a black pit. I specifically remember my junior year being the hardest. I overloaded myself with too many hard courses, between AP classes and honors, and I was taking SAT prep classes outside of school. I would look at my seemingly perfect peers at school who always appeared to breeze their way through everything, and my stubborn, messed-up brain just told me that, that could never be me. Little did I realize that a) these people weren’t perfect and they had their own struggles too and b) half these kids had helicopter parents who would do anything to ensure their kid was getting the highest grades as possible. I would go home with my hours of homework feeling like I never had the time to “catch-up”, so why bother trying? I had typecast myself into this role of being average and assumed that was as good as it was going to get. In the end, I managed to scrape by with decent grades and before I knew it I was graduating high school. 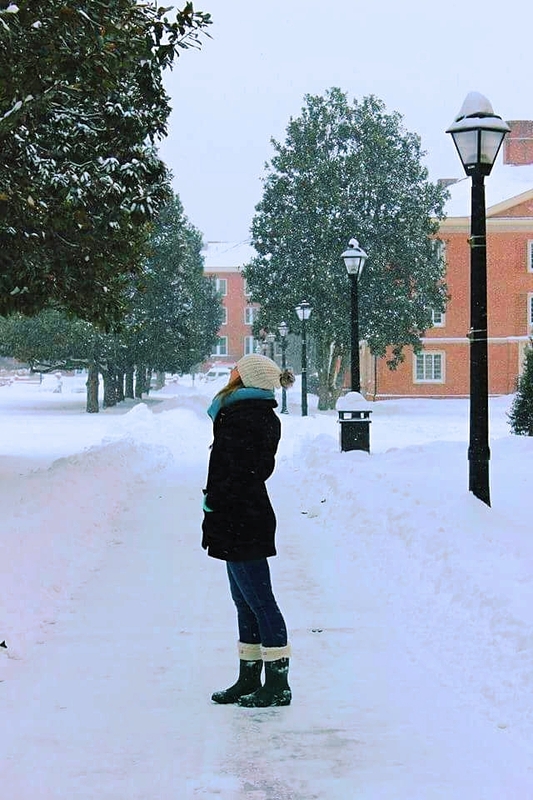 I was set to head off to a college that I did not want to go to, and even one that I was embarrassed to admit that I was going to. In hindsight, I am so glad to have ended up at that school but I’ll save that story for another time. In this particular instance, not only did comparison prevent me from being my best self throughout high school, but it also made me blind to my achievements. That while I wasn’t going to the world’s best university, I had not only graduated high school but also I was going to college! Both two major things in life that are worth celebrating that I overlooked at the time. Comparison made me blind to my achievements. Comparison is a nasty little beast that comes up and tells you, you are not good enough because you haven’t done this, you don’t look like this, you do, do this. But who created those rules? There is no guidebook to life that says graduating high school with a 4.5 GPA means that everything will just fall in line for the rest of life or having perfect skin means a perfect life. And Instagram? That’s a whole different story, it is a selection of curated and highly edited pictures of people showing you their favorite, and often-romanticized bits of their life. It is not real life. Throughout college I learned a lot about my self-worth and the detrimental effects of comparison. Comparing yourself to other people is an attempt at trying to find and measure your value, when in reality you are enough. I have learned that all those lies that I was telling myself in high school, you know that I was not good enough, were exactly that. Lies. Comparison is a game that you can never win. The moment you look at someone doing something great or at a great point in their life and say that will never be me, is the moment that you kill the idea of that ever being you. I am slowly learning to replace those “I could never do that,” with why can’t I do that? Sure maybe there sometimes are legit reasons why you can’t do something, but I’ve often found that there aren’t. Change those comments like "I could never" with "Why not?" Don’t underestimate your capabilities because you never know what you can do until you try. Also, everybody has different goals and aspirations in life. While I have realized I am capable of that perfect GPA, or being a doctor or a lawyer. I’ve also realized that I don’t love spending hours studying in the library and I don’t want to be a doctor or lawyer, and that’s okay. It’s okay that I’d rather go out to dinner with a friend any day over spending that extra hour perfecting my already acceptable paper. And if spending that extra hour on that paper is what you’d rather do, then that’s okay too. Nobody can be good at everything and just because other people focus more of their time on different things than you does not make them any better or worse. I want you to know that, that ugly little voice inside your head that is telling you, you aren’t good enough is feeding you lies. You will never be satisfied with yourself when you are comparing yourself to others. We were all created to be different and we all have value and beauty and worth. Next time you tell yourself you are not good enough remind yourself that you are good enough and if that doesn’t cut it, I think that you are more than good enough. Amanda is a recent college grad living on the East Coast. She spends her free time admiring pretty things, reading, and dreaming of new places to visit. 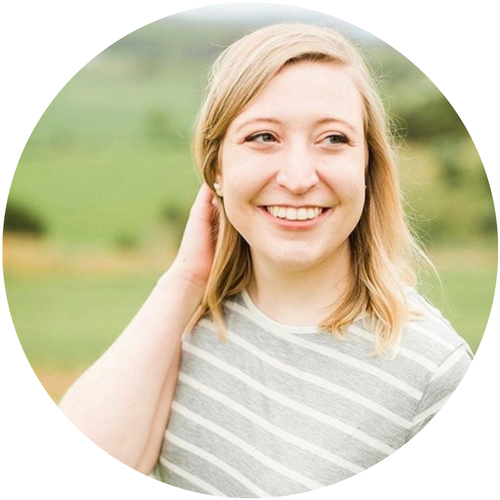 For more about Amanda, visit her blog, Chronicles of a Modern Gal, where she likes to share about her life and everything in between.